Today (Friday, June 5, 2009) is National Doughnut Day! 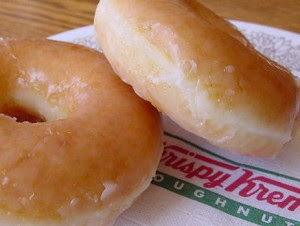 In honor of the occasion, Krispy Kreme is giving away a free doughnut to all customers–no purchase necessary. Dunkin’ Donuts locations are giving away a free doughnut with the purchase of a beverage. More details here.